3 fabulous things happened this week! because they chose my Bubbles quilt for the front cover!! Yes, that's right, I'm a cover girl! Knowing the quality of Quiltmania's magazines and books, this is bound to be a great magazine to watch out for when it hits the news stands in June, or you will be able to order it from the Quiltmania website here. I for one can't wait to see what other fabulous projects are inside. and here's me, with a big smile. A huge thanks to Quiltmania for featuring my blog. I always try do my best to make Blue Mountain Daisy a fun place to visit. The venue is by the beach so not only will we get to see lots of amazing quilts but this mountains girl is looking forward to seeing the ocean and walking on the beach. 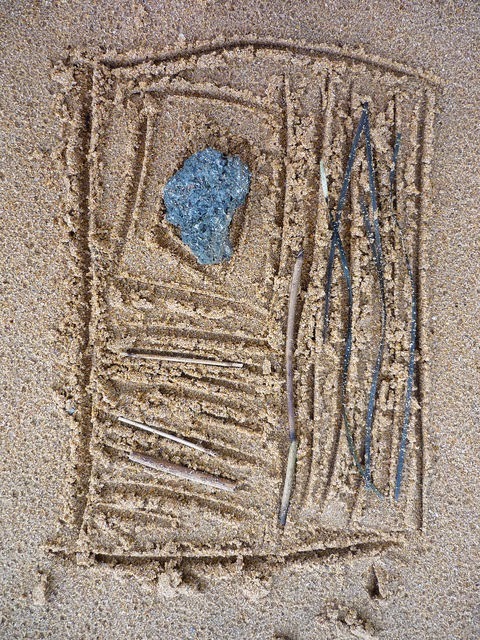 I like to make little nature sketches in the sand using things I find. Just goes to show creativity can strike anywhere, anytime. I'll leave you with some photos of a few nature sketches I've made in the past. What an exciting time for you Rachael! They say good things happen in threes and what great things they are! Congratulations on being recognised for such an innovative and creative quilter! Oh my - three exciting things all at once!! Your Bubbles quilt looks pretty fantastic on the front cover and you look even more fantastic in the Bloggers' Corner. What a beautiful photo! Rachael your train has left the station and your journey is just begining. I always knew you had amazing talent and the perseverance to succeed. Congrats on the cover and being featured! Well deserved! Wow, Congratulations! What a fantastic cover - well done. Hi! I just read about your blog in my version of Quiltmania, in Dutch. You're not only a cover girl, you are famous around the world. I like your blog very much, a will continue reading here often. Bye! This could not have happened to any other person! Well deserving..Oh I am so happy for you, Congratulations!!! I am looking forward to their new magazine. Blue Mountain daisy is always FUNTASTIC! Wow, great times Rachael! Congratulations, soo excited for you! Good things look like they do come in threes! This is all so exciting. Being on the cover is amazing. What a wonderful pat on the back for you. I will watch out for that one. And then to be a featured blogger as well!!!! Fantastic. I am delighted to read that your quilts will be in the show. Another wonderful achievement. Bet that smile stays on your face for a long time!! Congratulations. How cool and certainly well deserved! Congrats!! Enjoy!!!!! Woo Hoo!!! How very exciting for you. It sounds like there may just be something a little magic in your quilts and blog, but we know that. Have fun at Kiama. Beautiful smile! Congrats on all the publications, so deserved! I hope to see you and your quilts in Kiama. I will be the tall lady all star struck in your presence. Congratulations! I am so happy and excited for you! I can't wait to read the interview with you, I will watch for the magazines on the newsstand, I hope we get them in the US. I wish I could see you quilts hanging, your star is rising! Your blog is one of my favorites! Very exciting for you, well done, good things often come in threes. 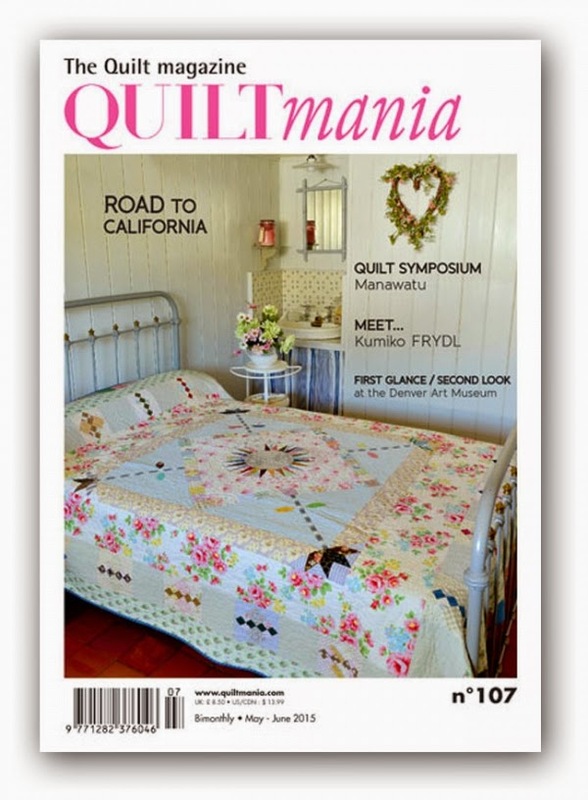 I will have to keep a look out for that Quiltmania and for the new magazine as well. 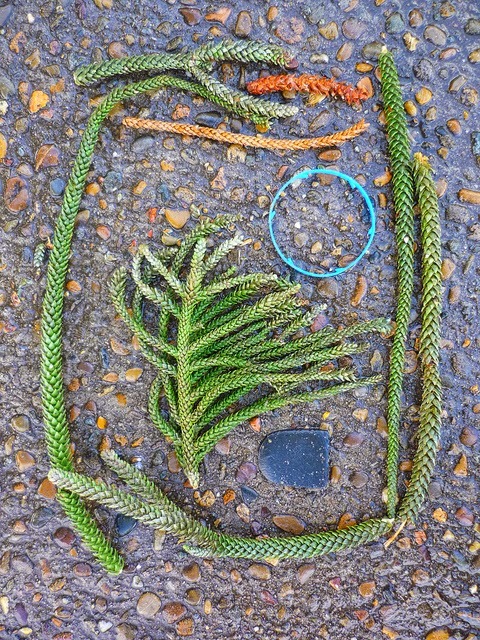 I can see some great improv quilts in your nature sketches. Wow, a cover girl! That's very exciting--congratulations! I look forward to seeing the edition! Wow! Wow! and Wow! Congratulations on being recognized for the creative spirit and dedicated quilt-maker that you are!! The cover of the premiere issue couldn't be better. 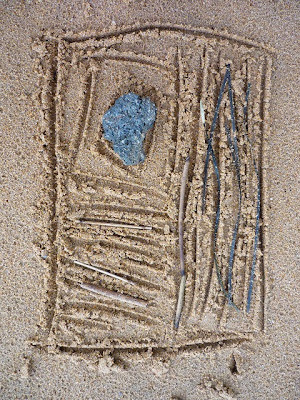 Love your little drawings in the sands. So happy for you!!! What exciting news. Good things are coming your way. I'm so happy for you. I'm so happy for you and it's all so well deserved! I can't wait to get the magazines and bask in your glories! Hooray!!! What a whirlwind of excitement. And so well deserved too! It makes me so happy to think that your reaching such a large audience with your carefree style and optimistic attitude toward the craft. Could not happen to a better person! Yippee, yippee!! So exciting for you! 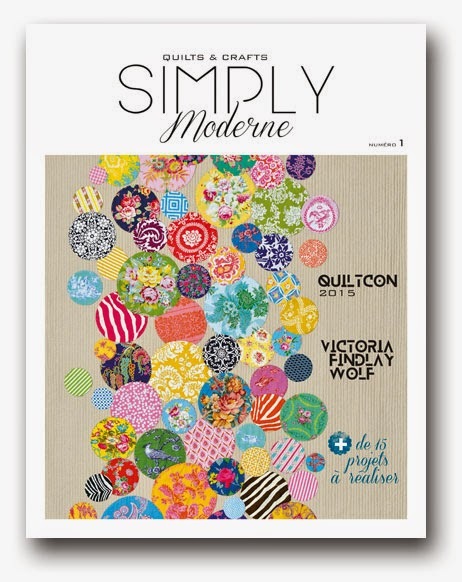 Love that you're on the COVER of the new Modern Quiltimania! Your quilt is gorgeous. :) Best of luck in the show too! woohoo, congrats! that is a beautiful quilt on the cover and you look fab in your photo! Congrats Rachael. I do love the bubble quilt. I made a circle quilt a few years ago for my BFF. I wish I had thought of the overlapping thing then, but they are just spread around. I still have about 50 circles left. Maybe I will give your style a try next. Again. Congrats x 3. (Still gonna keep my fav (Happy as a Clam)up as wallpaper on computer though). Congratulations on your hat trick (triple score) Rachael, you so deserve this happening to you. Love your creative vignettes from the beach adventure. Your bubble quilt looks amazing on the PREMIER COVER! Take a bow girl! Congratulations! Congratulations! Congratulations! You totally deserve to be a cover girl and I am SO excited to get a copy of both those issues. I dearly wish I was going to attend the quilt show! Have a wonderful time and thanks for sharing your cute little 'beach art' scenes. You are so creative no matter where you go! Brilliant, on all fronts! So pleased for you, Rachael. Well deserved recognition in all departments. 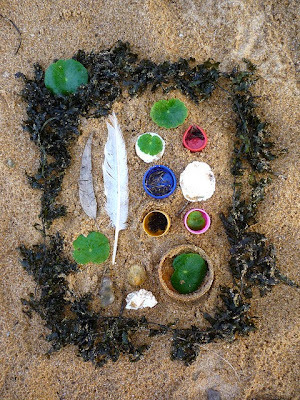 Love your impromptu art on the beach photos. Something else for me to try. Absolutely deserved - all three things, because you're so very talented ! ( and a wonderful person as well!) Im so happy for you Rachael. Well done girl! Can't wait,to,see this new mag. In French only? How utterly wonderful for you, congratulations. I was delighted to read your bloggers corner article. Is that what Tony Abbott refers to as a "thought bubble" ...I will forever be visualising this quilt when that expression gets tossed around....thank you, or should I say Merci!! Yet again I have a legitimate reason to splurge on magazines, a Grand Merci Beaucoup!!! Or as my daughter would say, big thanks buttercup!!!! Now on with the show. Congratulations!! Bubbles is a beauty! I normally pick up a copy f Quiltmania when I see it in our local book store but I shall definitely be placing an order for both of these now. Congrats Rachael ! I can't wait to receive the Simply Moderne with my subscription. HAPPY DANCE!!!!!! congratulations to it all you are awesomesauce and you deserve it all! Wow you are famous now. Congrats on making it on the cover. I will have to keep an eye out to make sure I get both magazines. Congratulations Rachael. Fancy being a cover girl! I will be looking out for those magazines for sure! Congratulations, that's so exciting Rachael. I'm not really surprised though because your work is so awesome and very well deserved. Can't wait to see the magazine. Unfortunately I can't get to the quilt show so please make sure you show lots of photos of your quilts. YO HO HO........what a treat!!!! and you deserve every one of the three surprises! Those bubbles are fabulous. 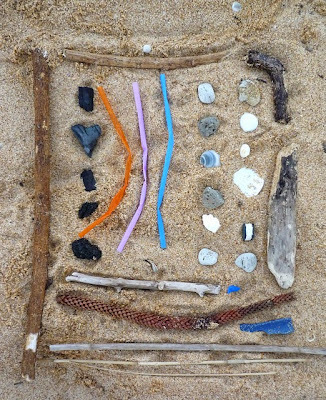 sea pictures are quilts in the offing. You are a Cover Girl!!! Congratulations! Big squeeze-y hug & kiss on each cheek to you! Wow!! Congratulations, congratulations and congratulations!! All three are such exciting events -I'm SO happy for you. I've just received my copy of Quiltmania, so I'll be reading with extra interest. Can't wait to see the new book with you as cover girl! Woo hoo! Triple happiness to you. The accolades are so well deserved. Wonderful news. SOOO exciting Rachael -- Congratulations! That Bubble quilt is beautiful!!! Yay Rachael! Congratulations on your cover and on your awards at the modern quilt show. I got to see your quilts in person today and you've inspired me to try some new techniques. You rock the yo-yo's!